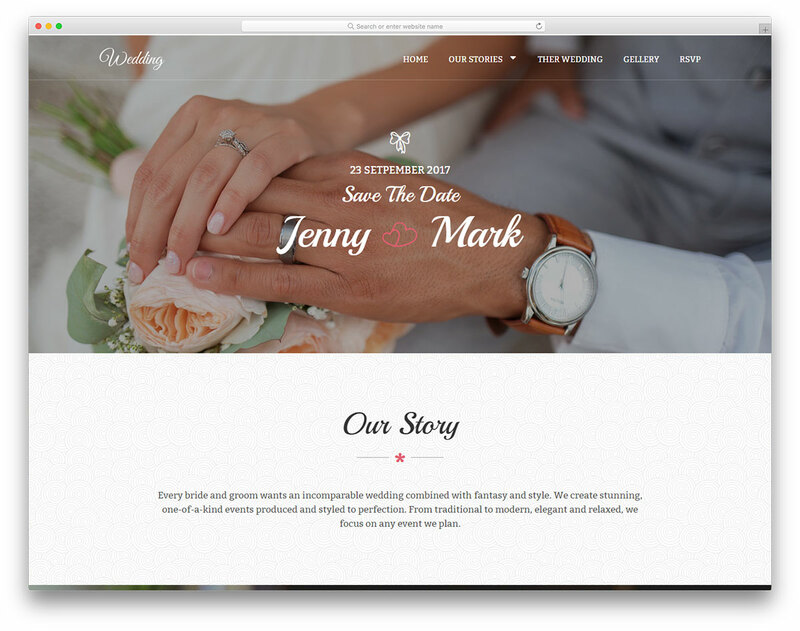 You will be amazed and impressed with our carefully designed and developed free wedding website templates. All are absolutely stunning, user-friendly and extremely responsive. No matter if you are after creating a website for bride and groom or you are a wedding event host, there is a template for you. Celebrate this special day with something divine and distinctively announce the date. Your commitment ceremony deserves to shine online with uniqueness and amazingness. You get it all and then some neatly packed into our free wedding template packages for your convenience. And you even receive an RSVP form, so you do not have to send it separately. It is your nuptials that are coming soon so make sure you start the hype early and share the process with your family and friends using a website. 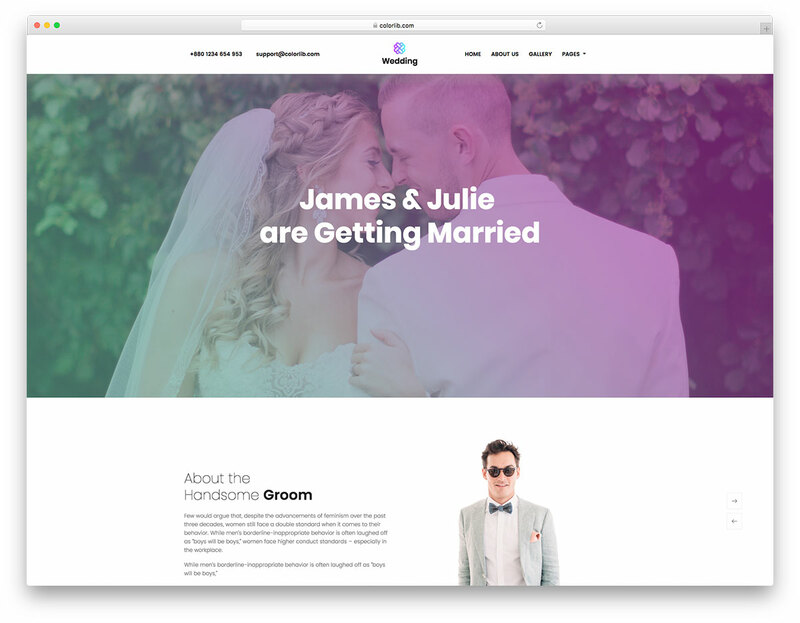 When looking to build a website for a soon-to-be-married couple, Honey is the free HTML wedding website template you need. Go against the grain and make something different. 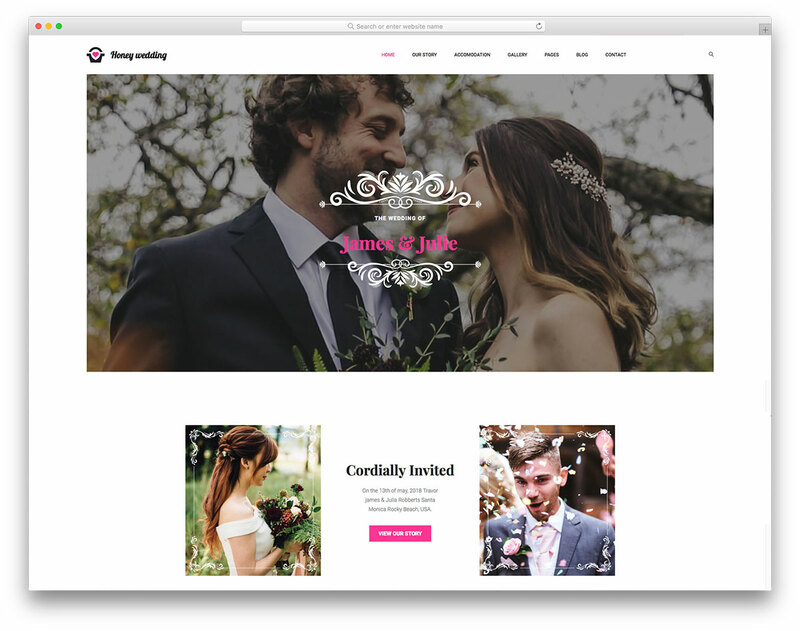 Start the hype for the forthcoming commitment ceremony in style with Wedding2 free responsive wedding website template. Announce the big day, introduce bride and groom and tell couple's story.